Playwriting Award: Jaclyn Backhaus and Lauren Yee are the winners of the 2018 Horton Foote Prize–lauded for India Pale Ale (Promising New American Play) and Cambodian Rock Band (Outstanding New American Play), respectively. Read more about the playwrights and where you can see their plays at Playbill.com. Jaclyn was interviewed by Works by Women in 2013. Playwriting Award, Part 2: Tanika Gupta won the 2018 James Tait Black Prize for Drama for her play Lions and Tigers. Learn more about Gupta and the prize at The Stage. Power Player: The Los Angeles Times profiles Bonnie Eskenazi, a powerful attorney who is an important part of the #MeToo movement. Learn more about her work here. Must Read: The New York Times takes a survey of women who have shaped the film industry since its beginning aka Movie Women You Should Know. A Closer Look: COLORLINES reports on the University of Southern California’s (USC) Annenberg Inclusion Initiative and its follow-up report Critics Choice 2, which demonstrates the need for more film critics of color, particularly women critics of color. Read COLORLINES’ story here. New Film Festival: The first ever Boston Women’s Film Festival runs September 27 – 30. Learn about its programming at the Boston Globe. RIP Theater Talk: After 25 years, Theater Talk has signed off for the last time. Thanks to Susan Haskins, Michael Riedel, legions of theater journalists and Broadway stars for years of must-see TV about theater. Read about the end of Theater Talk in the New York Times. 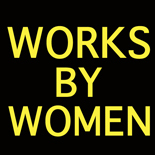 This entry was posted on September 17, 2018 by worksbywomen in Film, Theater, Women and tagged bonnie eskenazi, boston globe, boston women's film festival, cambodian rock band, colorlines, india pale ale, jaclyn backhaus, james tait black prize for drama, lauren yee, lions and tigers, New York Times, playbill.com, tanika gupta.